Scammers are claiming to be from the Internal Revenue Service exploiting confusion about Obamacare. 7 On Your Side partnered with Consumer Reports to show how the scam works and the red flags to look for so you're not the next victim. Certified public accountant Anthony d'Alessio was alerted to an email that claims to be from the Internal Revenue Service demanding an immediate payment. He wants to get advice from ID-theft expert Adam Levin in order to warn his own clients. Levin says at first glance it might look legitimate. "This notice is just a further indication of how sophisticated and creative that scammers and identity thieves have become," d'Alessio said. 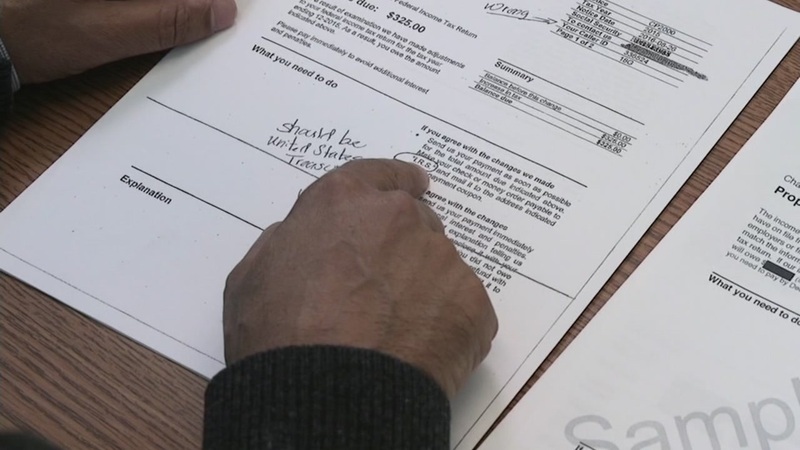 Consumer Reports Nikhil Hutheesing says the latest scam targets people with insurance through the Affordable Care Act, alleging they owe additional money for their coverage. A closer look reveals several red flags. The first is the email itself. "The IRS will never send you an email out of the blue. You should know that if money is owed the notice will be sent by regular mail," Hutheesing said. Another red flag: the fake notice instructs that the check, in this case for $325, be made out to IRS. "Tax checks are made out to the United States Treasury, not the IRS," Hutheesing said. And, where you send the check is also probably phony. The IRS says the address in Austin, Texas is not an official processing center. "If you get this type of fake IRS email do not open any attachments, or click on any links it may have. Immediately, forward it to phishing@irs.gov and then delete it," Hutheesing said. To get rid of it permanently, Levin says, also delete the email from your trash. Levin says there may be some instances of IRS scam letters being delivered by regular mail. You can call the IRS at 1-800-829-1040 to ask whether a notice you have received is actually from the agency. Consult a reliable tax professional to get advice about whether the notice is genuine and how to handle it.